having or showing a merry, lively mood: gay spirits; gay music. Synonyms: cheerful, gleeful, happy, glad, cheery, light hearted, joyous, joyful, jovial; sunny, lively, vivacious, sparkling; chipper, playful. From the 26th of July till the 3rd of August it’s Amsterdam Gay Pride time again! Get ready for a full week of events, exhibitions, shows, parties and a town filled with colourful people. www.amsterdamgaypride.nl is the website that provides you with all the necessary details, dates and locations. Make sure to visit one the many sport events, our favourite is with out a doubt the Drag Queen Olympics. The Gay Pride week is traditionally closed off with a full power party weekend starting this coming Friday the 1st. Check the complete party agenda here. The highlight of the Amsterdam Gay Pride weekend is the famous Canal Parade on Saturday afternoon. Where most parades use trucks, Amsterdam has boats! 80 spectacular decorated boats with beautiful (and scantily clad) boys and girls will sail from 14:00 till 18:00 through the Prinsengracht and Amstel river. The gay parade is watched by 300,000 spectators every year, so you better get there early to secure your spot along the canals! 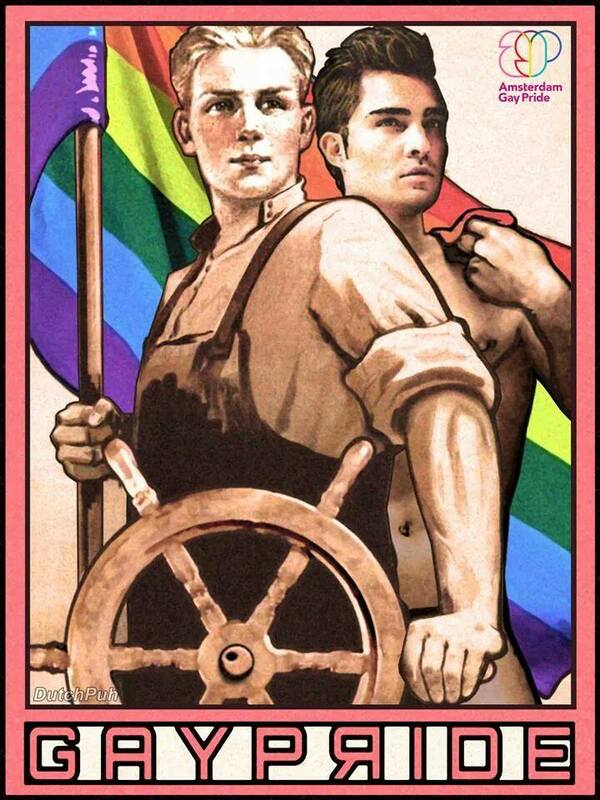 Enjoy your pride week. Rainbows guaranteed! NextClassical Music and Canals….. welcome to the Amsterdam Grachtenfestival !